While we don’t yet have sales numbers, we do have Pokémon Sun and Moon’s worldwide shipment numbers. And they are nuts. 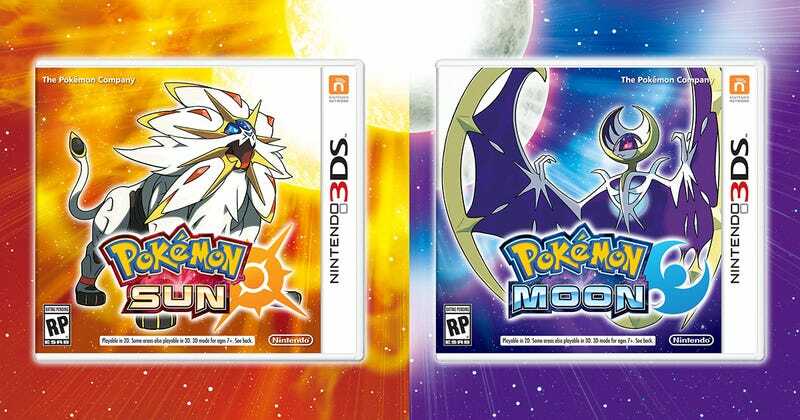 According to Famitsu, the initial launch day shipment of Pokémon Sun and Moon was over 10 million copies. That’s not only 1.5 times larger than the initial shipment launch of Pokémon X and Y, but it’s also the biggest launch release of any Nintendo 3DS game ever. To date, Pokémon X and Y is the biggest selling Nintendo 3DS title with 15.64 million copies sold worldwide. Who wants to bet Sun and Moon surpass that?